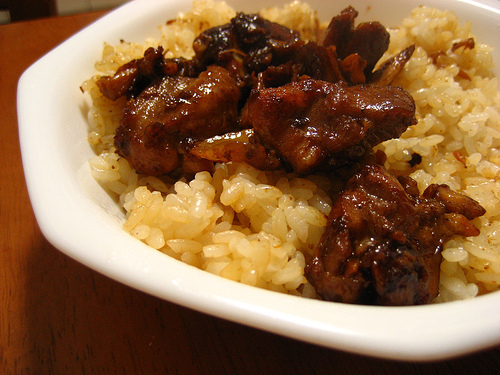 Filipino recipes that have become all time Philippine favorites. Traditional Filipino food recipes that are simple to cook and always a pleasure to serve and eat. Filipino food consist mostly of vegetables, seafood, dairy,and rice. Like Philippine fiestas, Filipino recipes are rich in flavor & color. Most of these Filipino food recipes are a mixture of foreign cuisines that evolved over the passage of centuries. Philippine history narrates that foreign settles,traders, and missionaries of the past brought with them their own recipes and unique ways of cooking. Filipino culinary arts is greatly influenced by Chinese, European, American, Arab and Asian cuisines. A fusion of various recipes adopted from earlier traders, Asian immigrants and former colonizers.Before the Spaniards colonized the Philippines, the country's cuisine consisted of root crops, game, vegetables and seafood. Filipino food recipes then was almost always either boiled, roasted or broiled. Foreign trade brought in all kinds of spices and plants to the Philippines. And like the Filipino today, its cuisine is a gastronomic feast from different countries and cultures - from east to west.Filipinos have embraced as their own cuisines form other countries like the noodles from the Chinese, rice and meat dishes from the Spaniards, fast-food from the Americans and even spaghetti from the Italians. All these now form part of the Philippine cuisine - with the Filipino touch, of course.